You'll need to scroll down the page a little to find this pattern. 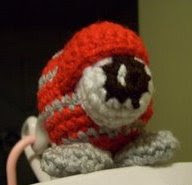 Hey love the free amigurumi and all the fresh Ideas you share. I cannot wait to post some of my own creations to your blog! !